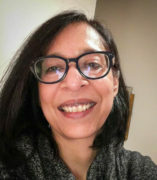 Madhu Dubey teaches courses in African-American literature and culture. Her research interests include African-American literature, cultural studies, and postmodern theory. She has published two books, Black Women Novelists and the Nationalist Aesthetic (1994) and Signs and Cities: Black Literary Postmodernism(2003).